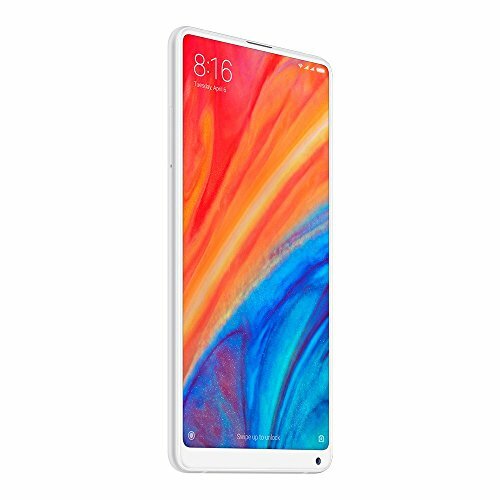 Xiaomi has recently announced that its IoT (Internet of Thing) platform is among the largest in the world and that its technology will focus on this in the future. Particularly IoT technology is home automation through which we can improve our lifestyle thanks to products designed and designed to meet our shortcomings / gaps in the home. 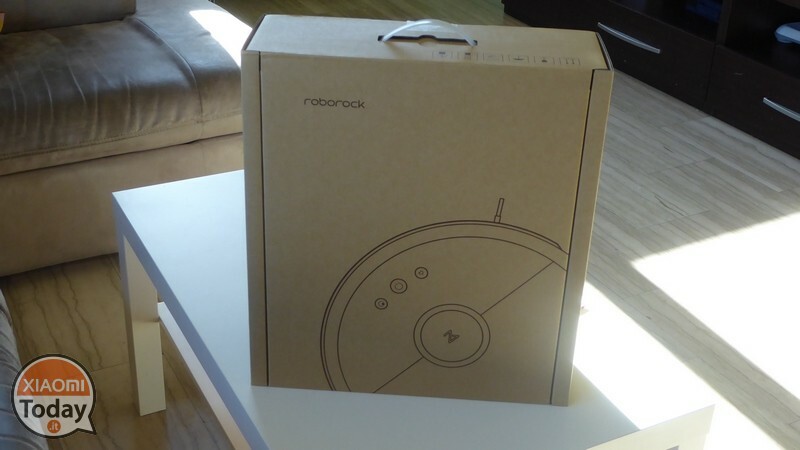 Among these falls the Roborock Sweep One S50 (from this moment we will call it Roborock Vacuum) by Xiaomi who has given up the burden of making the robot at Roborock, at the same time granting the use of the company's own name. A natural evolution of the best known Mi Robot Vacuum which offers technical specifications at times superior to the expensive robots of the most famous brands. 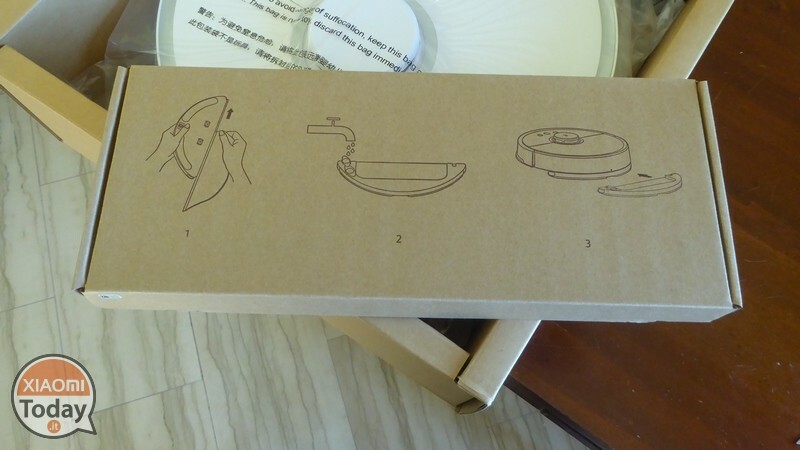 I thank the store Gearbest.com to send the sample and if you are curious to know what this robot vacuum cleaner is capable of, you just have to watch our video review and go into details in the paragraphs below, but do not forget to use the discount code NXMVCMHK. 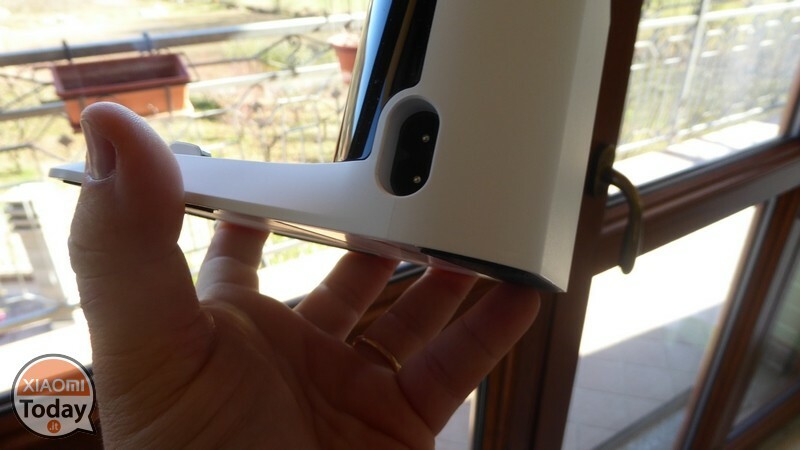 DO NOT BEFORE THE DIRTY PRESENT IN THE PHOTOS, I DURED TO TEST OUR ROBOT ASPIRAPOLVERE. DO NOT THINK THAT IS A ZOZZONE !!! Shipping Express Italy (10 / 15 days, no customs) selectable under "priority line"
A very rich and well-groomed package (as shown by a handy carrying handle) for our robot vacuum cleaner, including in addition to the same a user manual the english language, new floor-mounted accessory with a replacement microfiber sponge (in total we have 2 available) is 4 replacement filter plugs which are used to drain water from the small accessory tank. We also find the dust container with relative HEPA filter already applied plus an additional replacement filter. Finally we find the dock for charging with 20V / 1.8 A output and the Rigid plastic mat to be affixed to the dock itself to facilitate the return to the base of the robot, as well as the power cord with European plug, therefore ready to use without the need for any adapter. 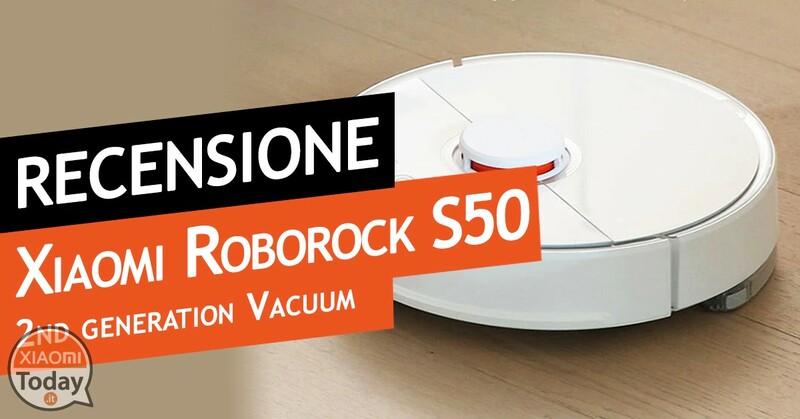 The Roborock Vacuum has a diameter 35 cm for a'maximum height of 9,65 cm it's a weight of 3,5 Kg. 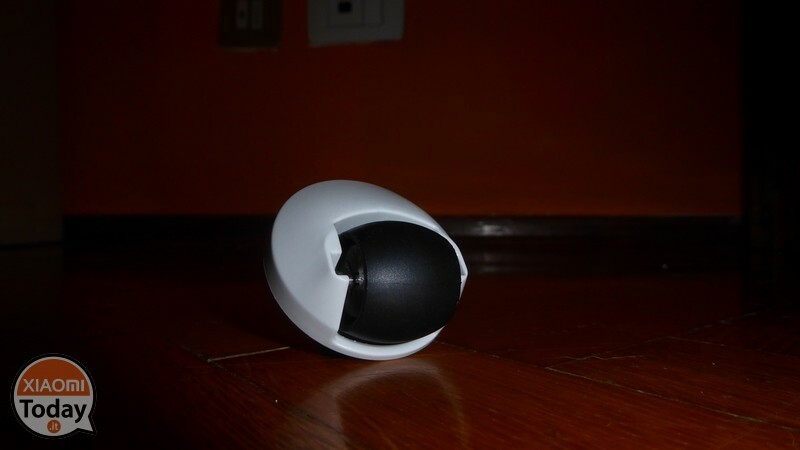 Immediately transmits the feeling of a well-finished product in every detail but above all solid though the shell is made of plastic, around which one is connected collision absorption bumper that integrates the various proximity sensors of type ST ToF (Time of Flight) in order to keep the robot at a distance of 3 millimeters from the walls of the house. 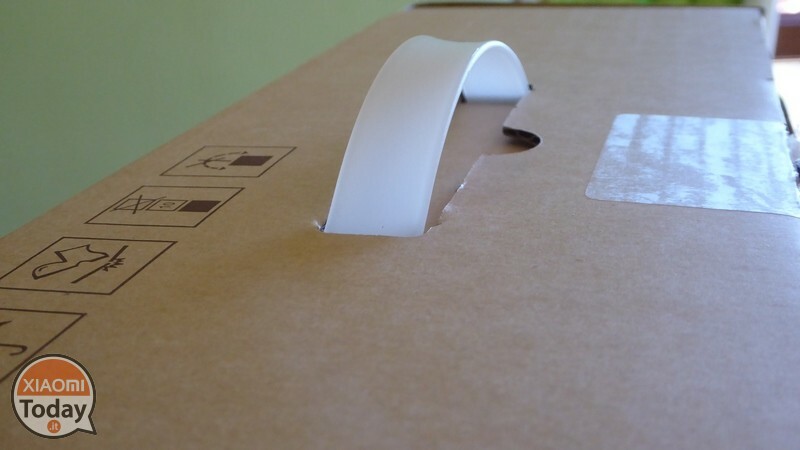 The only defect is due to the white color that is elegant and sober at the same time is like a magnet for dirt and micro scratches due to collision with furniture. 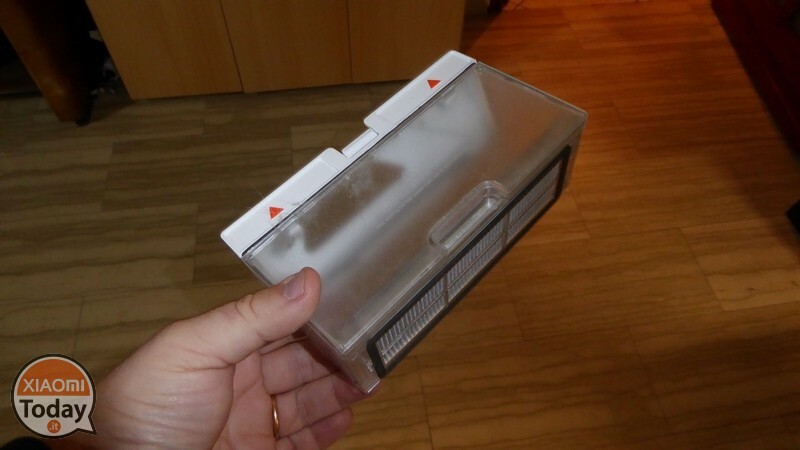 The upper part opens showing inside a small LED indicating the status of WiFi connection and a little one reset key of the device but also the dust container from 0,48 liters and a kind of tool to clean the brushes from hair and / or hair residues. The dust container fits all one series of gaskets to prevent dirt from escaping but above all it is washable without any problem. 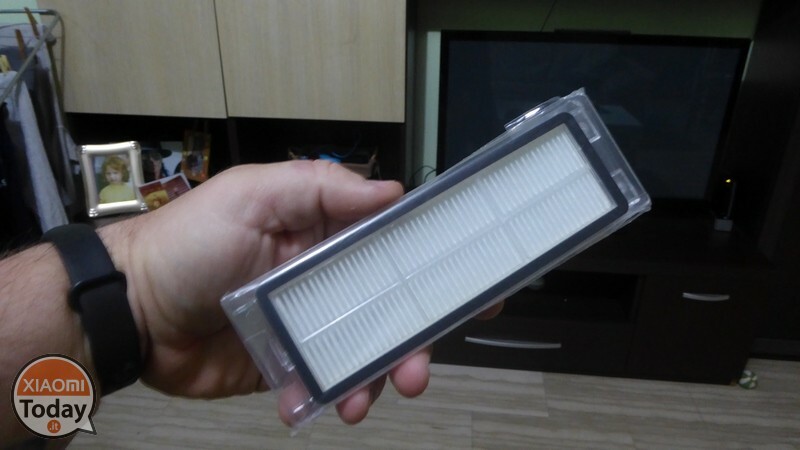 Inside it also hosts the HEPA filter also washable for better cleaning and hygiene. 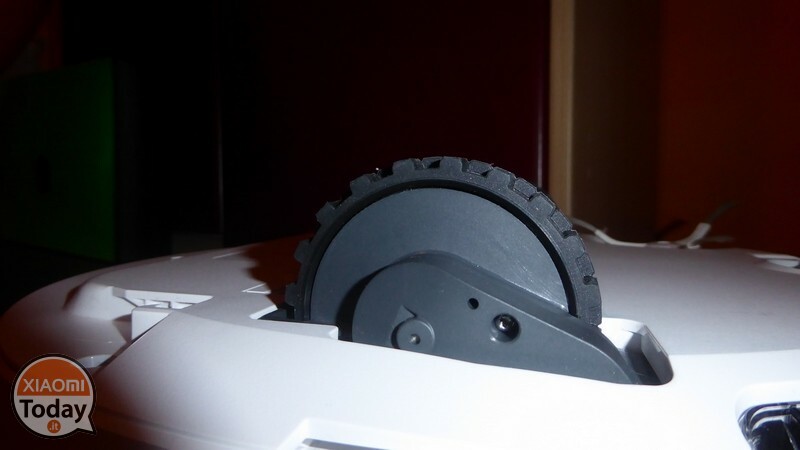 On the bottom of the Roborock Vacuum we find one side brush for the cleaning of the corners able to rotate up to 330 times per second as well as the rotating brush at the suction mouth with a curled design that prevents hair or hair from getting caught in the motor bearing. 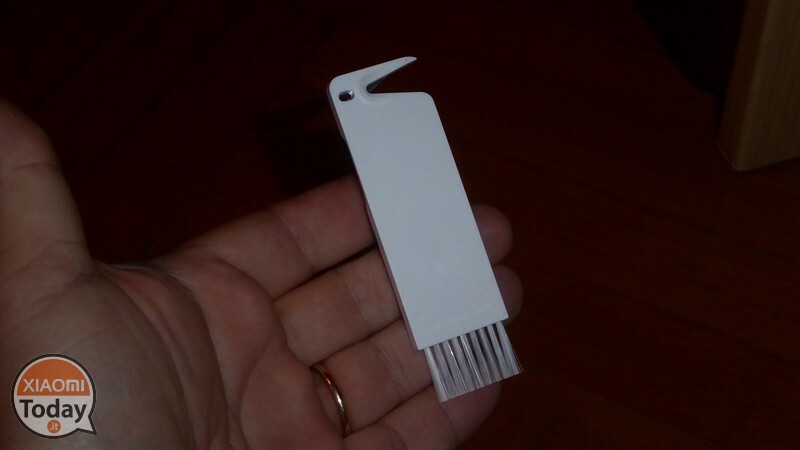 Also in this case the two elements can be dismantled and cleaned. 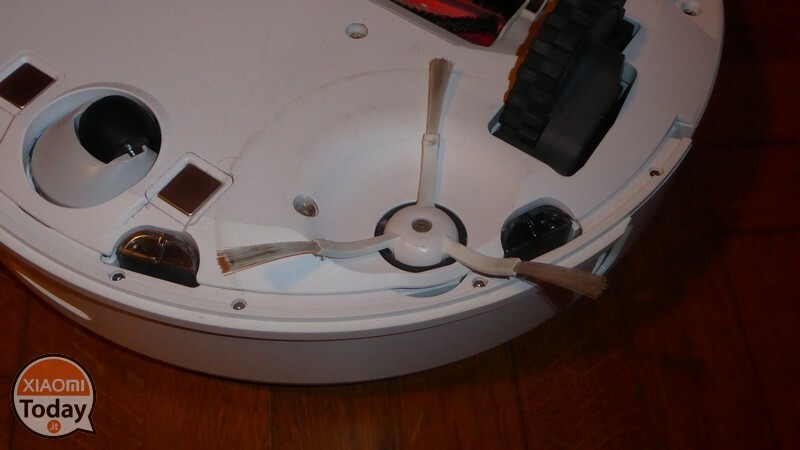 Also on the bottom of the vacuum cleaner we find one small omnidirectional wheel able to rotate the 360 degree robot e two-wheel drive with independent suspensions that allow our home gadget to overcome steps and obstacles up to 2 cm in thickness. His Achilles' heel are the laundry lines that even if they do not represent a high height, with their rounded shape of the legs they manage sometimes to make our robot fit. 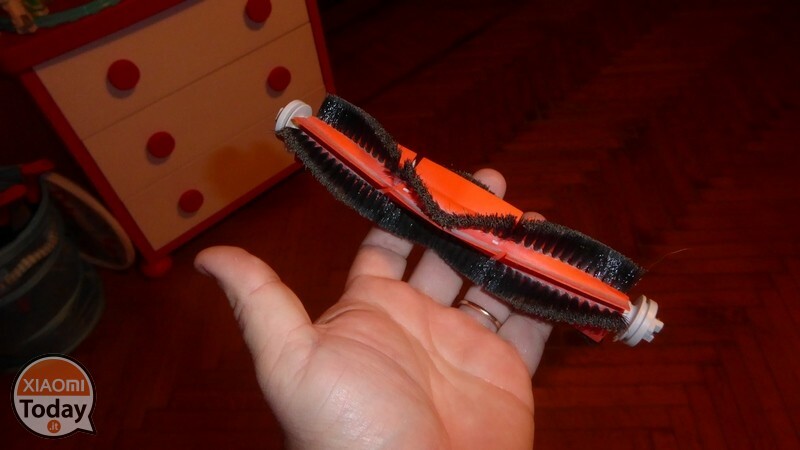 In addition to these one another enemy is represented by various laces and tapes like those of a backpack, which being sucked by the brush can cause errors or even create a comic situation in which the vacuum cleaner drags the shoe around the house. 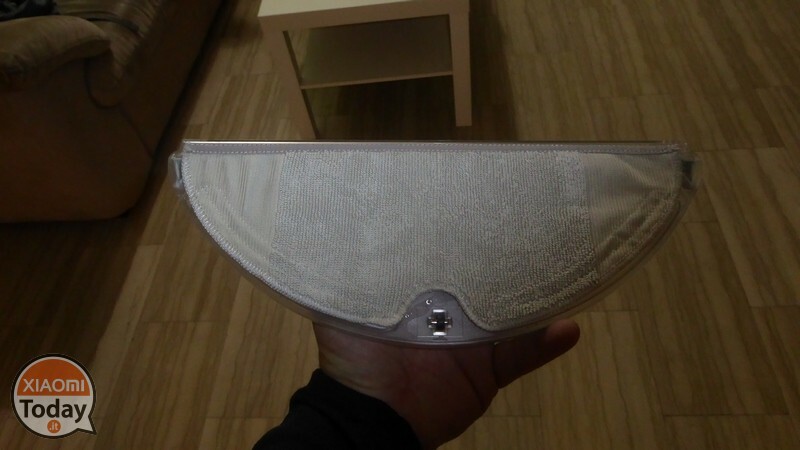 Finally we find the 2 metal plates for charging and well 4 anti-fall sensorsin the sense that when our robot approaches the vacuum, such as stairs, will recognize this situation and will avoid continuing his journey by opting for another route. 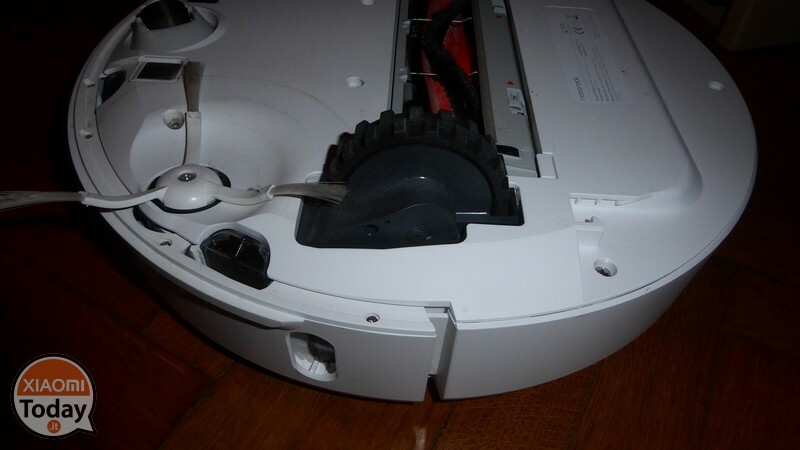 I could not in any way drop the Roborock Vacuum even when I operated it near a step or starting it on a table. 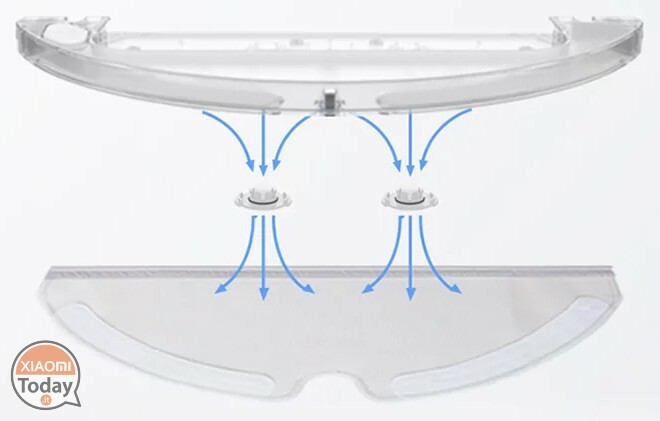 About charging, the same is guaranteed by a base that will be placed at a distance of about half a meter at least from any obstacle, so as to facilitate the automatic return of the robot. 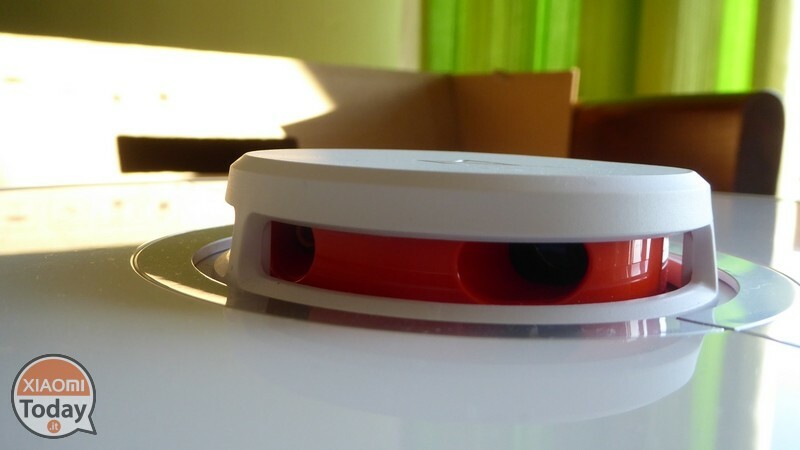 There is not much to dwell on the base for charging, except that it incorporates a rigid plastic mat and emits infrared rays to 180 ° up to 4 meters away to pick up the robot and that charge the Roborock Vacuum battery in about 2 hours and 20 minutes. 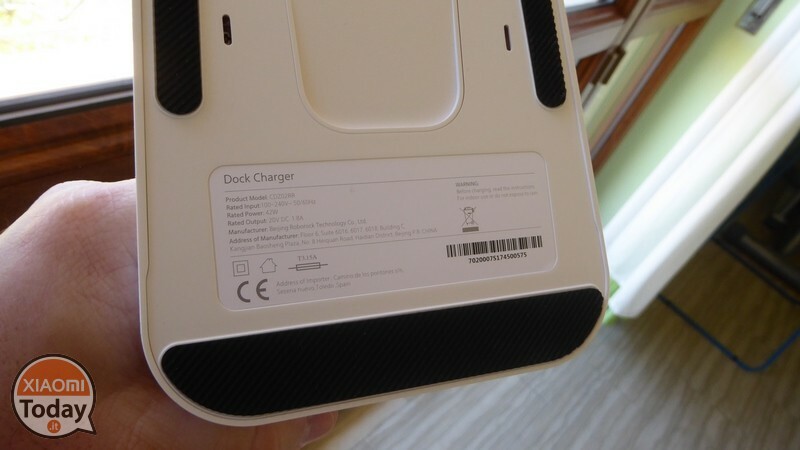 It should also be noted that the charging dock has a overcurrent, overvoltage and short circuit protection. 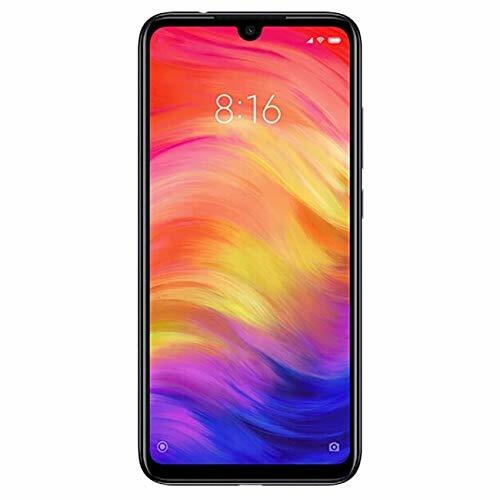 A battery from 5200 mAh that can guarantee one cleaning up to 250 square meters for about 2 hours and a half of continuous use (data that depend on the type of cleaning you will carry out). Personally in turbo mode I managed to cover the entire surface of the house, 77 square meters in about 85 minutes with a residual 34% battery. 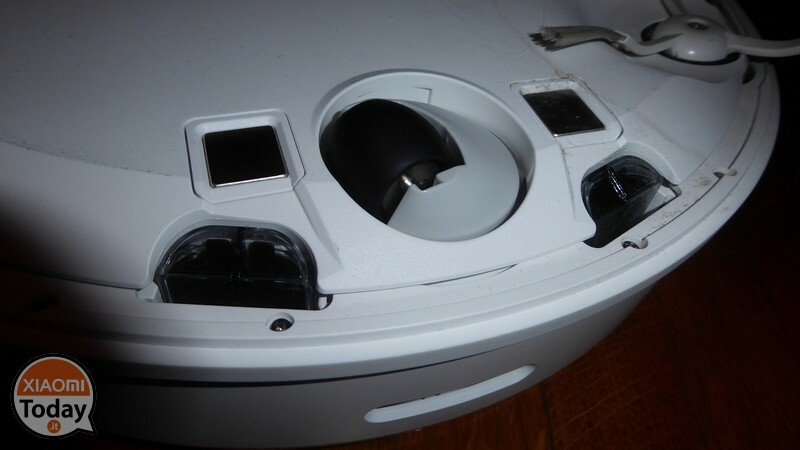 Anyway if the battery charge runs out before cleaning is completed, the robot will automatically return to the dock. Only after reaching about 75% of charge will the cleaning start again from where it was interrupted. 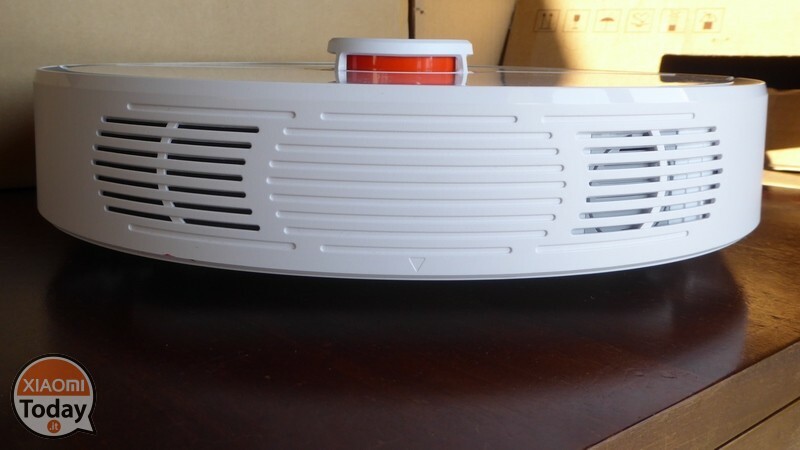 On the circular profile we find hidden by a grid lo system speaker through which the robot will warn us of the events in progress and the air fan. Finally on the top we find the command buttons including that relating to Spot Cleaning, which will allow us with a little pressure to start a cleaning in a specific area of ​​the preset room through the application. Then we find the button for charging that with a small pressure will allow the Roborock Vacuum to return to the dock for charging. 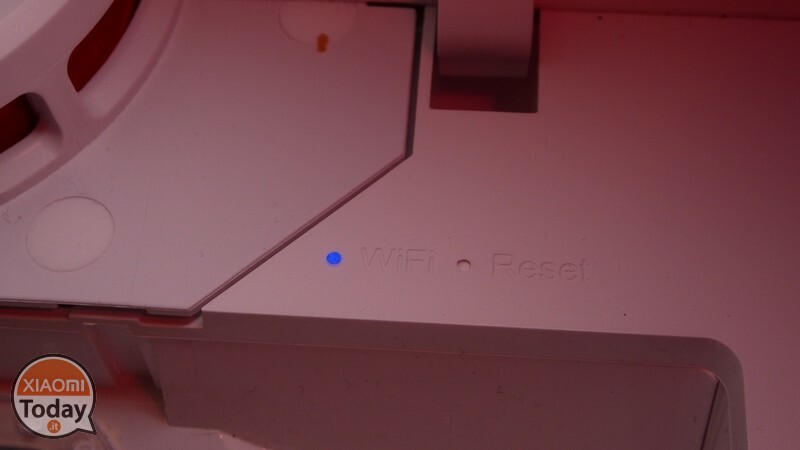 The two buttons, if pushed together for about 3 seconds, allow to make a WiFi reset. 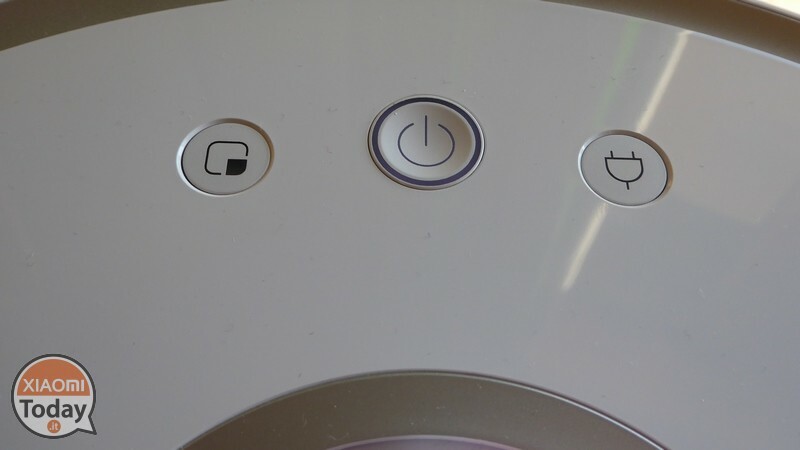 Finally we find the on / off button which also incorporates a LED circular it will glow red when the battery has a residual autonomy lower than 20% while white light for charge higher than 20% and to indicate the status of activity. Keeping the button pressed, we could switch off the device or switch it on, an event that is also accompanied by an introduction music. Instead, briefly pressing the button we could start a cleaning session or pause it. 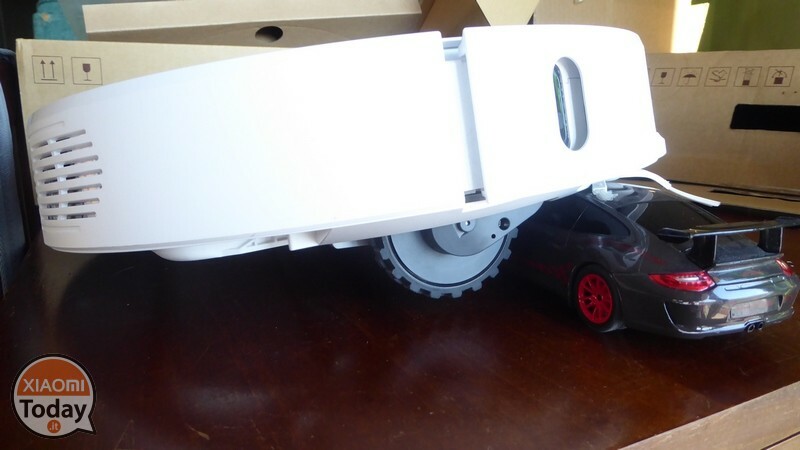 Last but not least, we find the turret with laser sensor for environment mapping (LDS and SLAM algorithm) which also integrates an omnidirectional pressure sensor to avoid damaging the LDS sensor as a result of shocks. 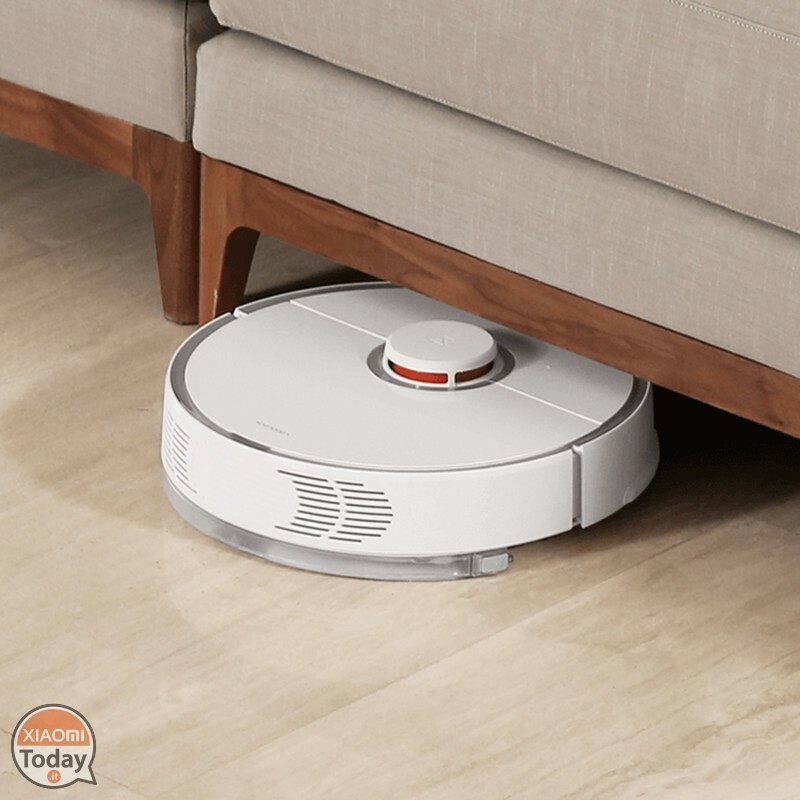 Turning to the technical specifications, the Roborock Vacuum manages to impress in consideration of the price at which it is proposed, about 2 / 3 times lower than the most famous brands such as iRobot's Roomba. Starting right frominnovative LDS sensor that allows you to create in real time the map of the room to be cleaned by scanning the 1800 environment times per second (5 × 360 ° / sec), planning a path that first starts from the perimeter and then makes a path to Z in order to guarantee efficient cleaning in less time. 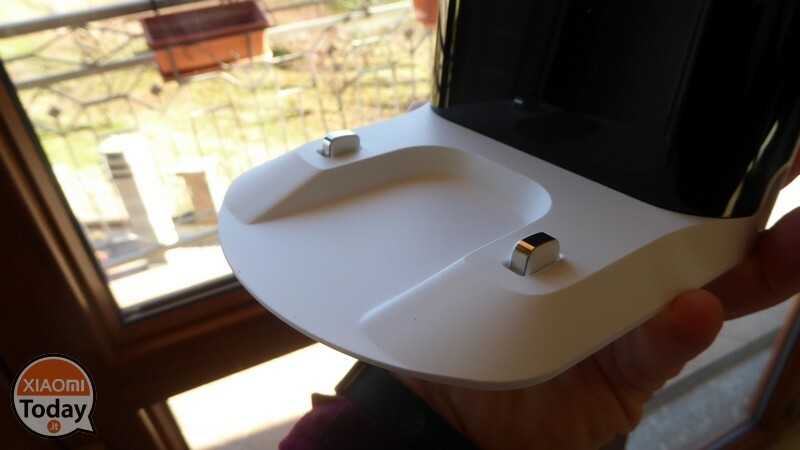 All the sensors on board the Roborock Vacuum are really well optimized not to mention theaccelerometer, gyroscope, magnetometer and sensor that detects the filling of the pan of dust. But the equally astonishing thing is that every part of this robot is washable, also the HEPA filter coated with waterproof Teflon able to last up to 1 year maintaining the 95% of the performances. 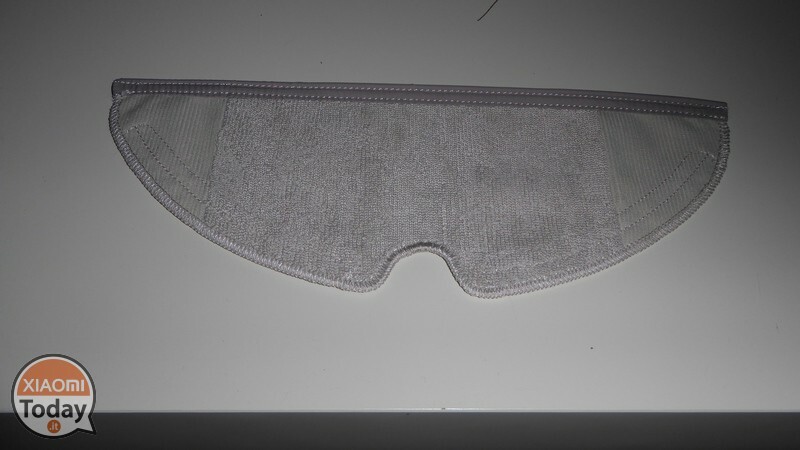 But the really impressive thing is the suction power that is generated, able to reach up to 2000 Pa (Pascal) with a noise level ranging from 62db to 68 db, all in all content compared to traditional vacuum cleaners, as inside there is a sort of "Knit" in cotton that silences the noise of the suction motor. Compared to the previous generation I could not find information about the processor used to process the information coming from the LDS, but in any case the same seems very well optimized. 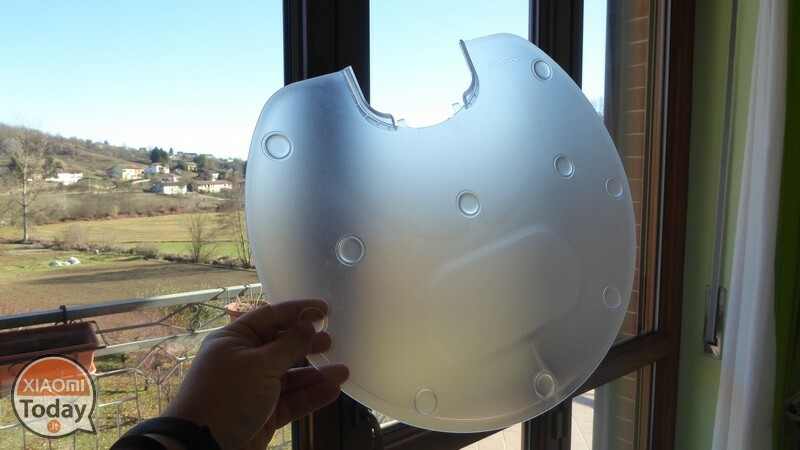 Another interesting novelty, however, lies in the new removable accessory consisting of a water tank and a microfibre cloth able to wash the floor at the same time as the suction. 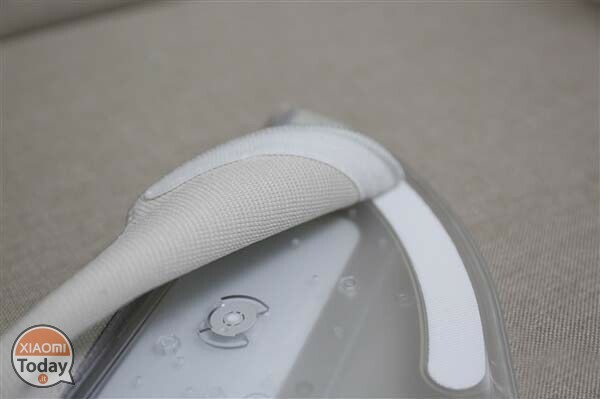 The water contained inside the tank passes on the cloth through small holes and cleaning is guaranteed for about 45-60 minutes. 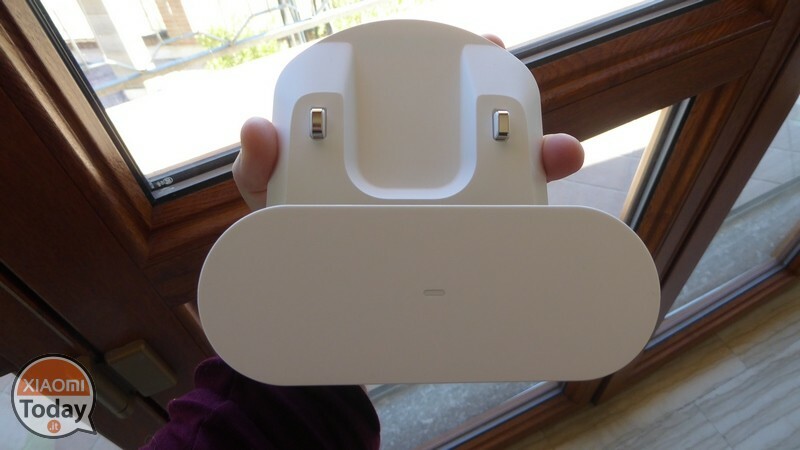 First the Roborock Vacuum is managed by the Mi Home application, and in the initial coupling phase we should enable the GPS on our smartphone and have a WiFi connection that in case it will also serve as a remote server for remote control (not all functions are supported). 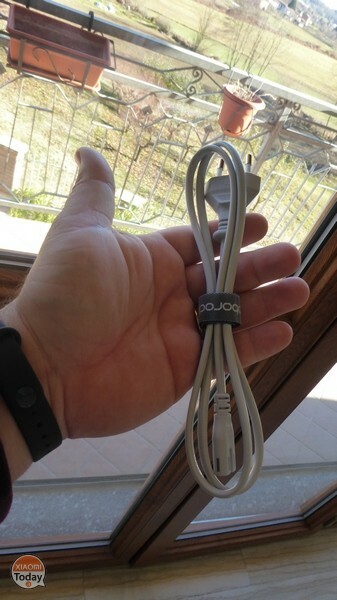 Maybe nowadays someone does not have a WiFi connection in their home (I'm one of those losers) but to remedy the problem you can take advantage of the tethering of another smartphone. 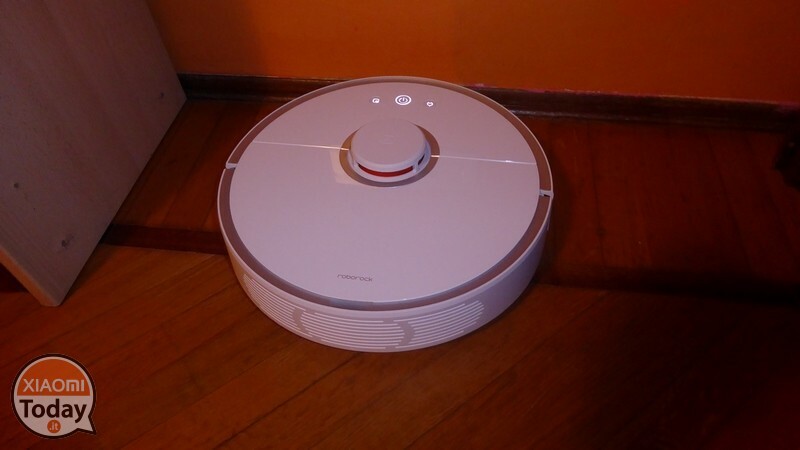 That said the Roborock Vacuum relies on a SLAM (simultaneous localization and mapping) algorithm, the same used on high-end devices as it allows a reasoned cleaning rather than relying on random steps. 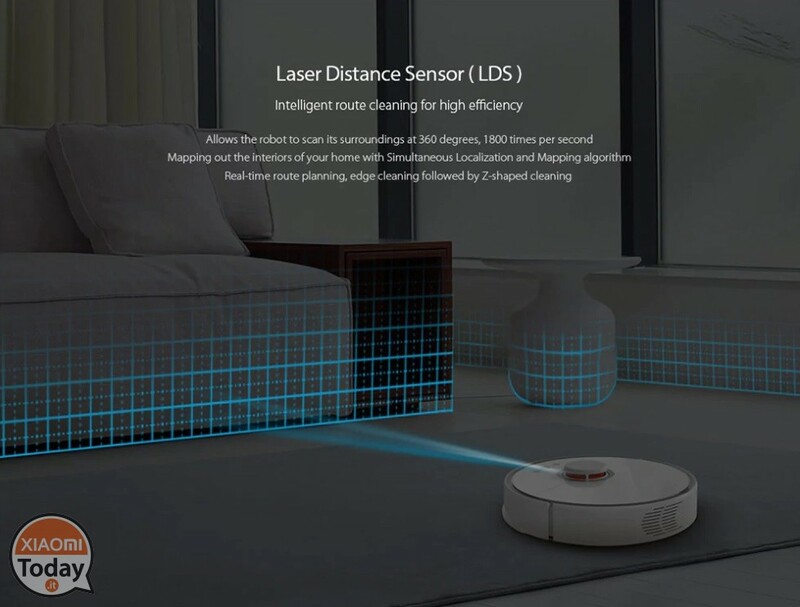 But the innovation of Xiaomi lies in the input of data arriving at the algorithm, because while other devices entrust their path to multiple cameras (algortimo vSLAM), the Roborock Vacuum relies on the rotating laser sensor located in the turret. The map of the room and the environment being cleaned is built in real time and with millimeter precision. In practice, the algorithm indicates to the robot the path to follow, starting first from the perimeter and then dividing the surface to be cleaned into sectors, proceeding with close parallel lines (Z-shaped path). 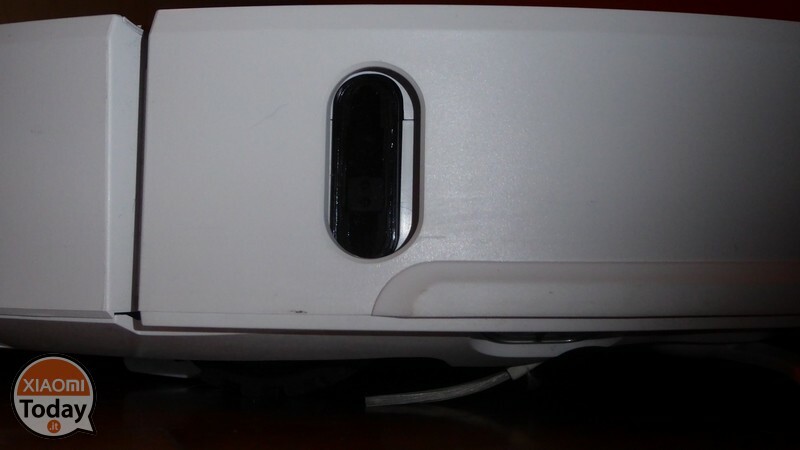 The laser tower in coordination with the various sensors also communicates to the robot sufficient operating space to clean so that it never gets caught under a piece of furniture or a sofa, moreover the bumper is reinforced so as not to dent the furniture in any way with which the Roborock Vacuum comes into contact. The cleaning behavior is decidedly meticulous trying to get anywhere where the obstacle is circumnavigating where he comes across during the cleaning session. If this is, in a certain sense, a positive aspect of cons, however, when the vacuum cleaner comes across mobile obstacles like a dog or a cat, the sensors go into crisis by messing up the planned route. 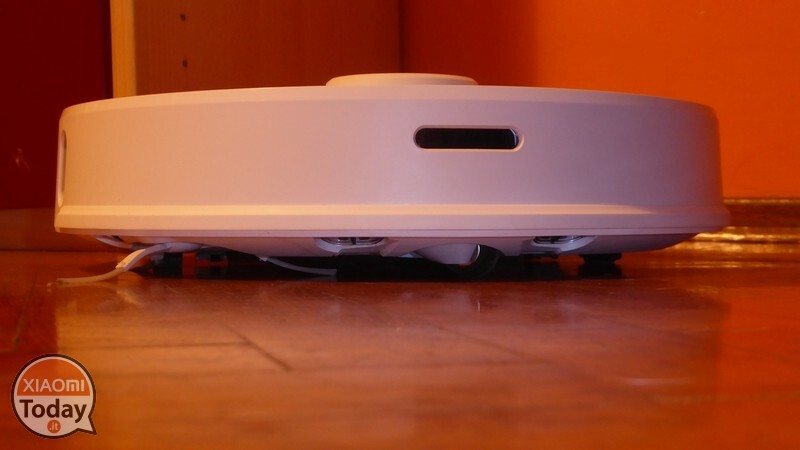 The situation, however, returns to normal as soon as our four-legged friend will move away from our Roborock Vacuum. Needless to say that the situations in which an obstacle can create problems are endless, such as a door ajar (semi-mobile obstacle) that could be pushed by the robot to create the situation in which the same remains trapped in the room in which it was. 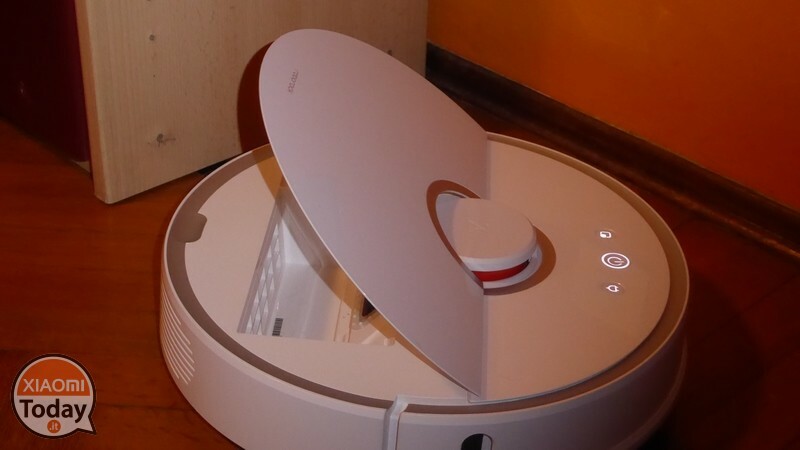 Therefore It is advisable to use the Roborock Vacuum when you are at home in order to immediately restore any anomalies, but if you really want to exploit it when you are away from home make sure that you can not create uneasy situations. Finally a eulogy goes to the ability to overcome obstacles up to 2 / 3 cm as well as to the fact that the system is able to recognize when it is on a carpet in order to increase the suction power and brushing. The thing that surprised me during the use was theextreme suction power from the finest dust to smaller, more consistent elements. 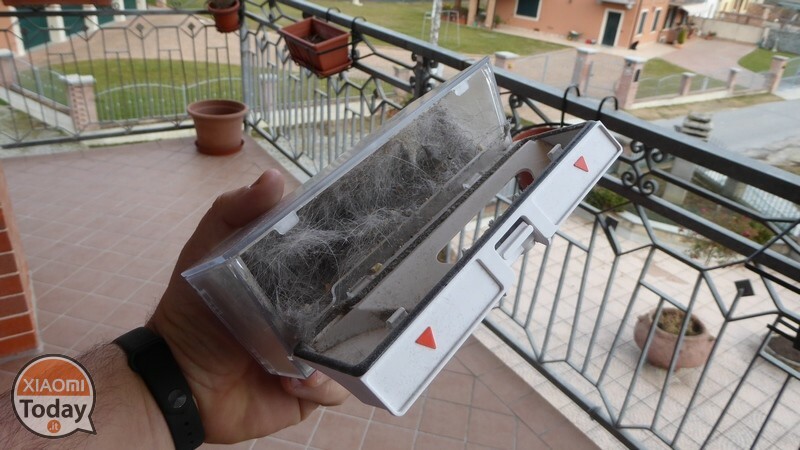 I did a test after having just passed the traditional vacuum cleaner and despite all the Roborock Vacuum was able to gather a lot of dirt despite the surface apparently clean. Unfortunately there is no ability to recognize if a surface is wet and therefore in the situation where the vacuum cleaner has been programmed for a certain time it could cause disasters on our floor. 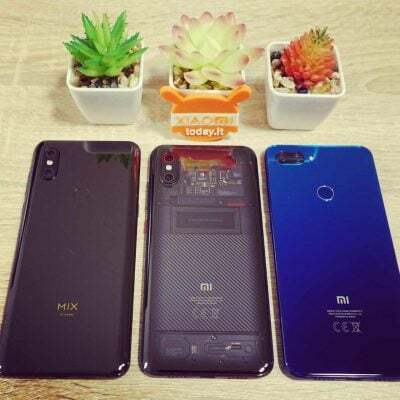 As said before is the Mi Home application to manage our Roborock Vacuum, an application that definitely brings an added value to our device compared to the competition. 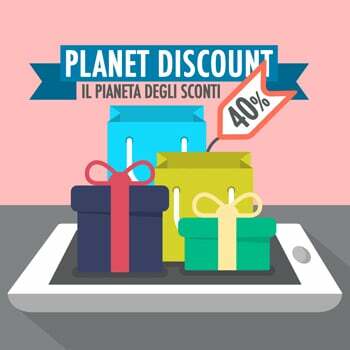 The application does not speak in Italian but it is English is available, And even our robot vacuum cleaner speaks English so you can be safely managed. 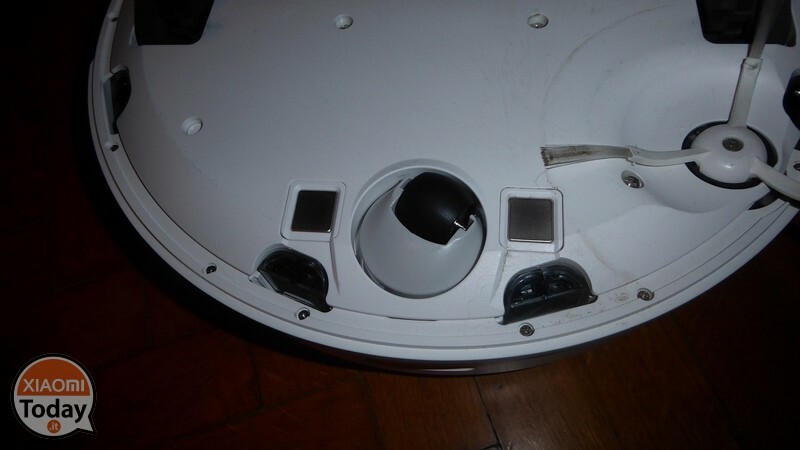 In reality the Roborock Vacuum could be used even without application because the function keys allow you to perform an accurate cleaning, but it is through the app that we can exploit every potential of our robot. 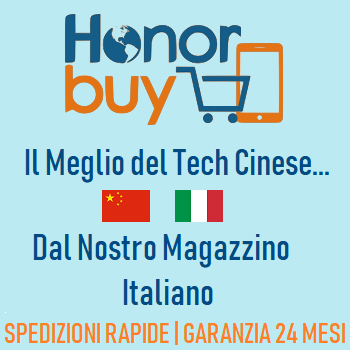 In reality there is a all Italian project to translate the Mi Home app completely into Italian. Leaving from the main screen we can start a cleaning cycle, or draw an area in which to clean our robot, we can return the same to the charging dock or send it to a certain position based on the map built previously. Furthermore in real time we are shown the cleaned square meters, the remaining battery charge and the time taken for cleaning. From this screen you can share the screenshot of the map via typically Chinese social networks. At the top right we find the icon of 3 pallini that will allow us to access the settings. From the first menu (Vacuum Settings) we can set the UTC area from which to find the time (useful to program the vacuum cleaner), the volume of the built-in speaker. 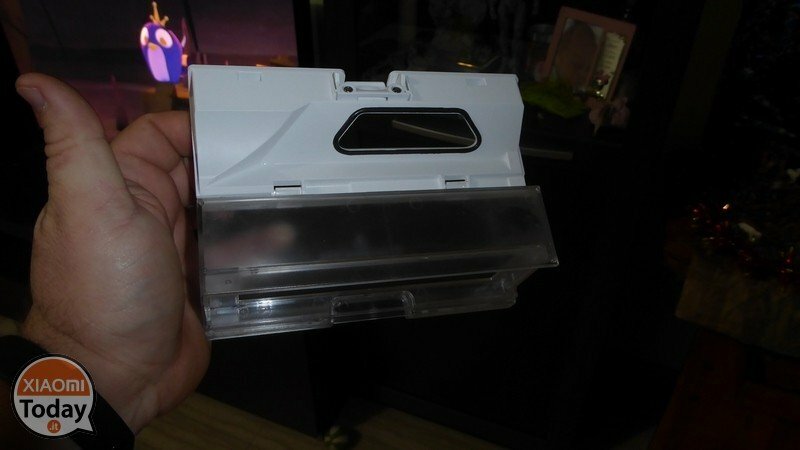 We can set the DND mode, ie in which time slot our robot will be totally disabled, avoiding unwanted cleaning sessions, and finally set the Carpet Mode that is the automatic recognition mode of carpets in order to increase the suction power on these elements. From the second menu (Timer) we can set the time when program an automatic cleaning, deciding the repetition on a single event, every day, every day of the week, or during the weekend and finally in a time interval chosen by the user. Finally, the suction power can be decided. The third menu (Cleanup mode) it serves for set the suction power with which our Roborock Vacuum will carry out the cleaning session, choosing between the mode Quiet, Balanced, Turbo or MAX (the best in my opinion). From the fourth menu (Voice Pack) we can change our robot's voice, even if default is already set English, the only usable language really waiting for the Italian to be available soon. From the fifth menu (Notifications) we can set if receive or not notifications from the application, such as those related to the end of a cleaning cycle. 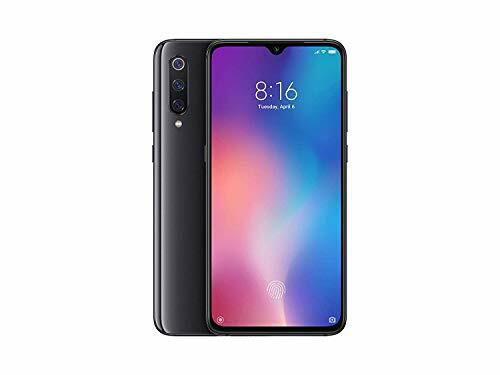 The sixth menu (General Settings) refers to the general settings of the robot, including setting the device name, sharing access to their friends or family, search for firmware updates or create a shortcut on your home phone to quickly access the application. From the seventh menu (Cleaning History) we can access all the collected statistics, such as total time of use, the total area in square meters clean, and how many sessions performed, but also view the previous maps and cycles performed. 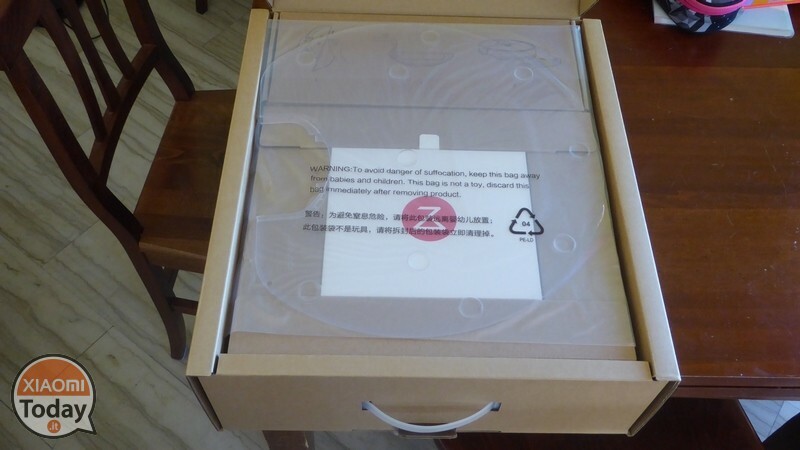 The eighth menu (Care) it's definitely important as there provides in real time the state of wear and / or cleaning of the components, allowing us to program a cleaning robot or order the various spare parts, easily available on various online stores including our trusted Gearbest.com. 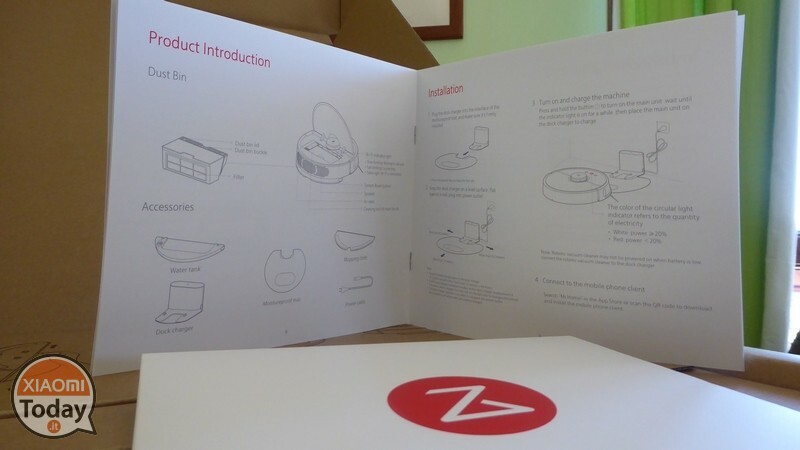 The ninth menu (User manual) provides us with the user manual in English, video tutorials on use as well as FAQs. The tenth menu (Remote controls) allows us to comit our Roborock Vacuum as if it were a sort of toy by choosing to drive it by joystick or via virtual buttons. A mode for true cleaning nerds. Finally the eleventh and last menu (Find my robot) allows you to talk about our robot so you can be located for example when returning home we do not find it because maybe stuck behind a curtain. In conclusion the Roborock Vacuum is a product that really convinces, thanks to high performance and a truly surprising cleaning efficiency. Personally I can not make direct comparison with more noble models but I can certainly say that by virtue of the price the Chinese robot he has nothing to envy his competitors both for constructive quality and from the performance point of view. An enviable quality / price ratio that can be used at any latitude and not designed for the Chinese market alone. undoubtedly a product that manages to improve and optimize the time spent on household cleaning, allowing you to concentrate the time you would have used to clean the floor, for example, to dust, clean the chandeliers, but also simply to give you healthy relaxation. 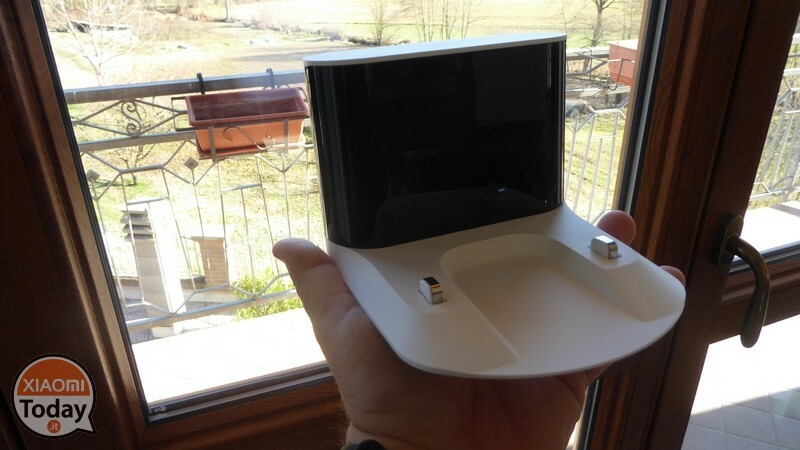 So I really recommend to anyone this home automation gadget and I invite you to contact for the purchase at the store Gearbest.com to which I address once again the thanks for sending the sample and for making this review possible. Xiaomi Roborock Vacuum is a great product for the price at which it is sold by virtue of the features offered and the power of aspiration. 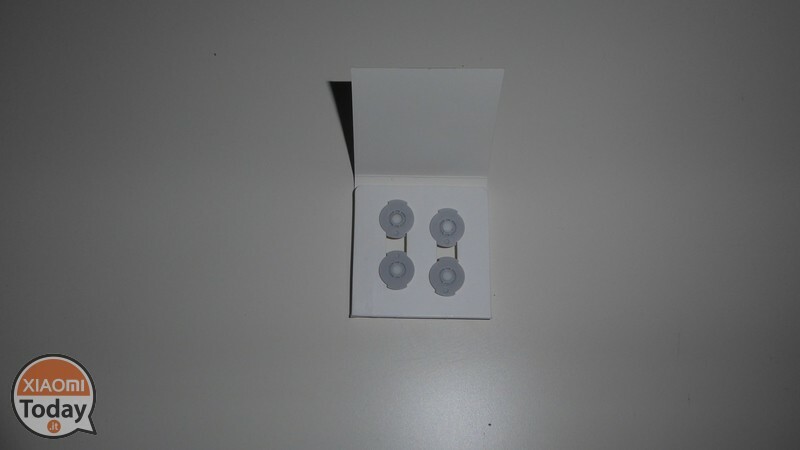 Accuracy in cleaning and excellent accessories in the package, coupled with an application that allows multiple possibilities of use. Perhaps the only drawback remains the availability of spare parts that requires time for shipping. But how, do you have in your hands the new version of the robot whose main novelty is the possibility of washing, and reserved for this peculiarity only a couple of lines stunted in a river review? I'm still waiting for the arrival of this second-generation robot ... 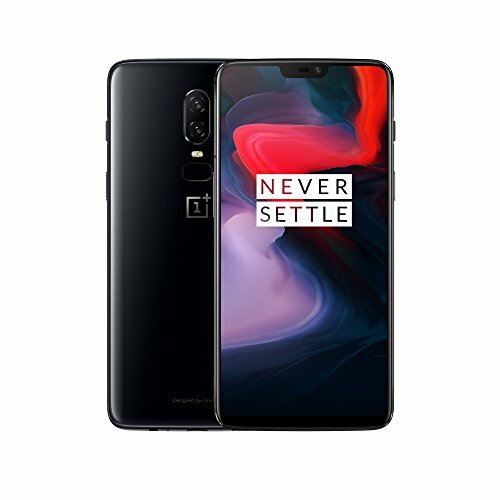 Shipped by Gearbest the November 22, still no trace, but oh well, it's still early ... 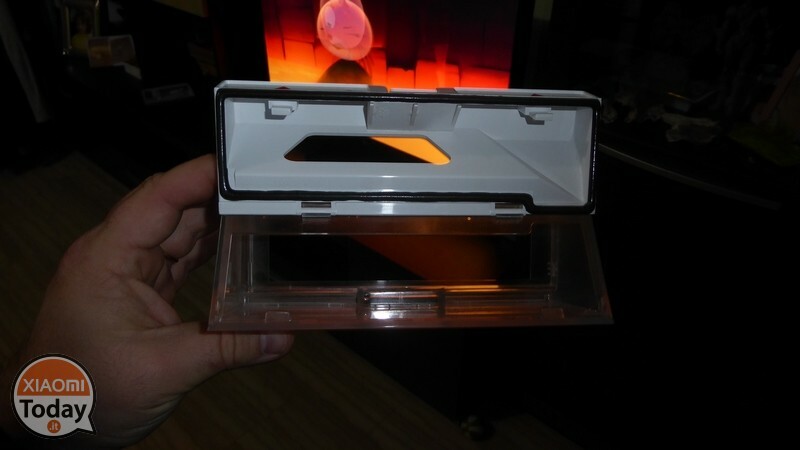 I can not wait to receive it and try it. Thanks for the review, however, I would have liked a greater focus on the part of washing. 🙂 how are you? first impressions? Thanks Lucas, excellent review, we take the reviews! In my app there is no cleaning history, I can not view the previous maps .. how is this possible? 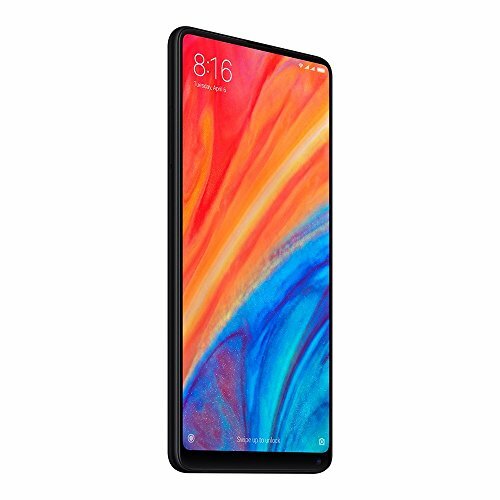 The new Qualcomm Snapdragon 845 is officially unveiled - Xiaomi is on the front line!